Gladstone's Library is delighted to have been featured in the New York Times (both online and in the physical paper!) in this wonderful piece about what Gladstone's Library stands for. 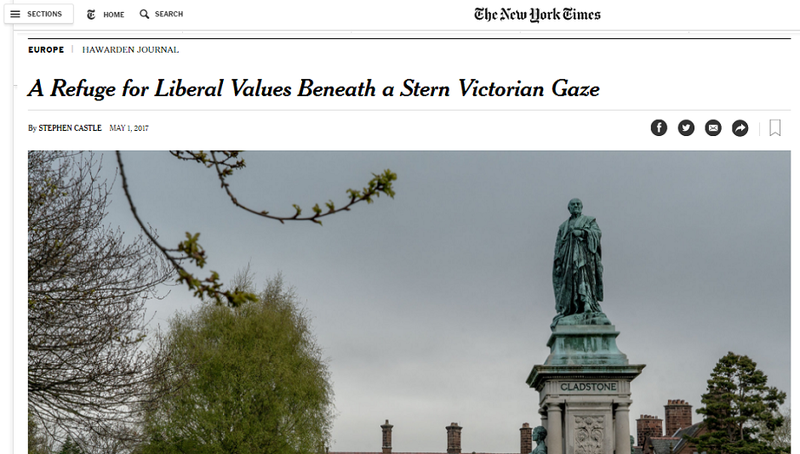 The title of the piece is "A Refuge for Liberal Values Beneath a Stern Victorian Gaze". Read the full article online here. Thank you to Stephen Castle of the New York Times for visiting the Library and for putting together this fantastic coverage.